From Grass-O-Matic and CBD Crew comes a marijuana autoflowering strain designed to revolutionize the cannabis market, bringing together a host of great features among which we highlight a minimum 4% CBD concentration. 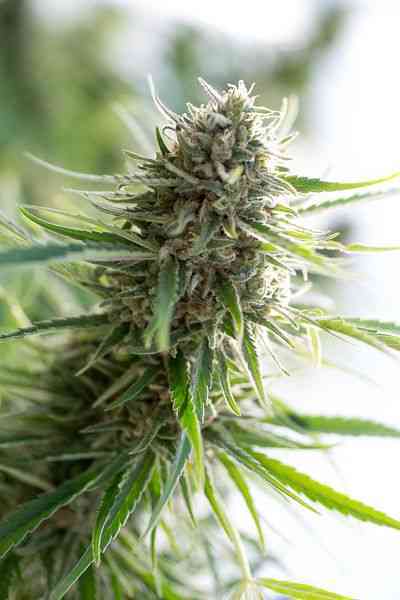 This plant has been created after several years of joint efforts done by two breeding teams, and the result is a new genetics that will delight all users of medical marijuana , being a really fast strain and with a high concentration of CBD, which usually ranges from 6% to 14%, with a 1:1 to 1:1.5 THC/CBD ratio. It grows vigorous and robust, reaching a maximum height of 80cm, with a central main bud structure with some secondary branches. It will be ready in just 65 days of flowering, producing about 50gr per plant, and has high resistance to pathogens and fungi, which added to its blooming speed will prevent lots of pests and diseases. Its flowers are really fragrant, sweet and fruity, with a pleasant effect that will leave a very noticeable sense of well being, but allowing you to perform all kinds of tasks.